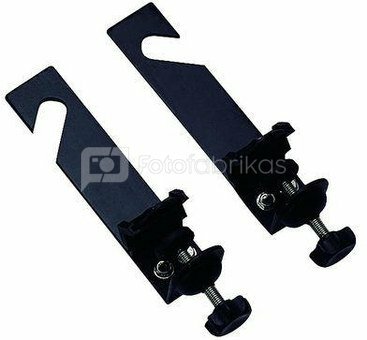 The Linkstar BSH-3 Background Support Holders are easy to mount on a light stand, producing a background system in no time. The holders are therefore, suitable for use either, in the studio or on location. The Linkstar ES-1 paper roll holder can be used in conjunction with the BSH-3 to hang a backdrop. The clamps fit on tubes with a maximum diameter of 35mm and the holders have a length of 18.5cm per holder.